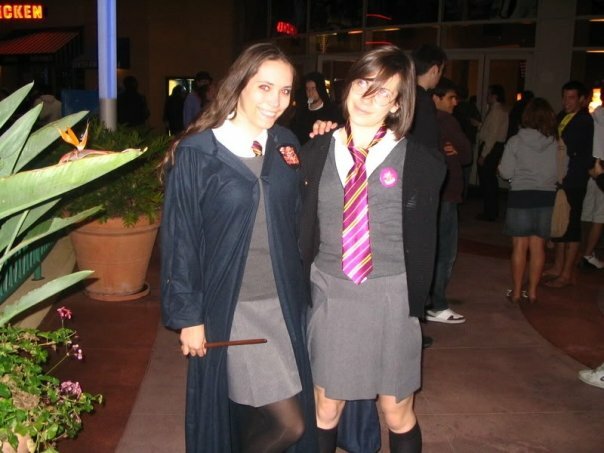 The first Hermione costume I made was in 2005 to wear to the midnight premiere of Harry Potter and The Goblet of Fire. It was in November of my Freshman year of college and I went with a large group of friends, most from the film school which I was a part of. The only thing handmade about it was the robe which I sewed last minute (from a jedi robe pattern!) and the scarf that my mother made for me. 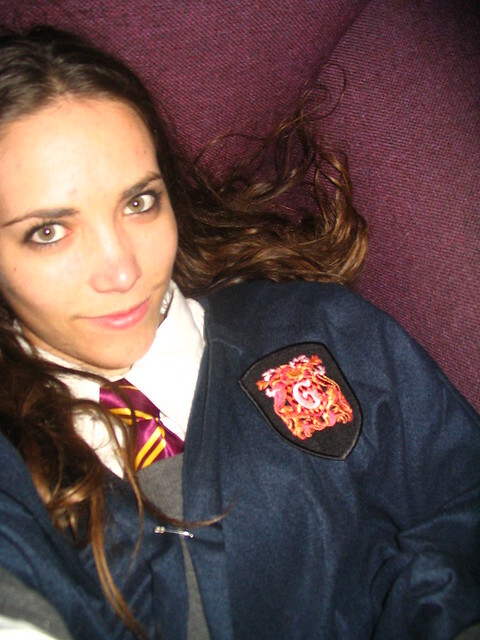 The wand was actually made for me by my dad. Everything else (tights, sweater, skirt, patch, shirt, tie) were either bought new or thrifted.